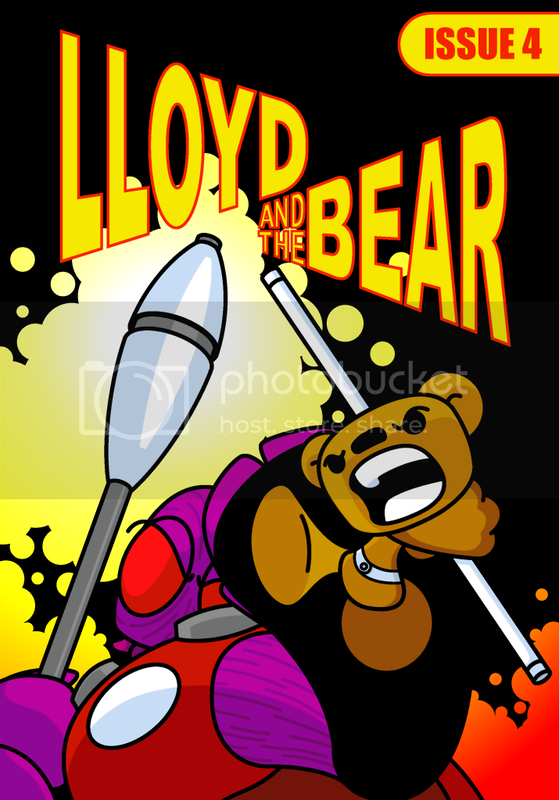 Lloyd and the Bear – Page 86 – Free webcomics, news and more! Issue 4 is now up to view! Yup, either click on the link at the top of the page or the thumbnail of issue 4 on the bar on the right! I am soooooo pleased with this issue! I had the entire story planned out in my head way back while working on issue 1 and was desperate to get to work on it. I really hope you guys enjoy it! This marks the final story in the first arc of Lloyd and the Bear and I’ve got big plans for next year so do come back and check it out! Okay, so not much done this week as I was away at the start of the week and then a bit down with the cold but having had today free I’ve been busy re-lettering the early issues of LatB. Issues 1 to 3 are now resized with 4 and 5 still to do. Even though I plan to have both of them done on Sunday (as I’m having tomorrow off to celebrate Christmash — don’t ask) I’m still going to post the original issue 4 on the day with the updated issues coming out in the New Year. But yes, don’t forget that issue 4 comes out on Sunday! V. excited! On completely separate news I picked up Doctor Who series 5 the other day (the Matt Smith episodes) and been watching the extras which has given me a big boost to get on with my own work. I do love the geniusness that is Steven Moffat! Speak to you Sunday! Happy Christmash! Okay, so over the weekend I managed to get 2-3.5 out, design the new logo, complete the badges and the t-shirt and retype the script. Not bad. So that leaves me to do….. I also need to add to this list that I need to change the font used in the comic as I want to make it very slightly smaller. Okay, so cover done. Back page done. Contents…….. doing. Also did a little fix to the back page of issue 1.5 which won’t show until I refresh all the pages (which is an addition to my list of ‘things to do’). The good folks over at Pixar (and I do like most of their movies – NOT Monsters Inc. but y’know, the rest) have released a short video sending a message out to kids having trouble dealing with their sexual identity at school (although I figure it works for any kid that doesn’t fit the norm). But yeah, it’s pretty cool and so, so true. Okay, so issue 4 will be up and available to read from Sunday December the 12th so make sure you come back and check that out – I’m really happy with issue #4 and feel it offers a real nice closure to the first year worth of stories. Check out the cover for issue #4 below!